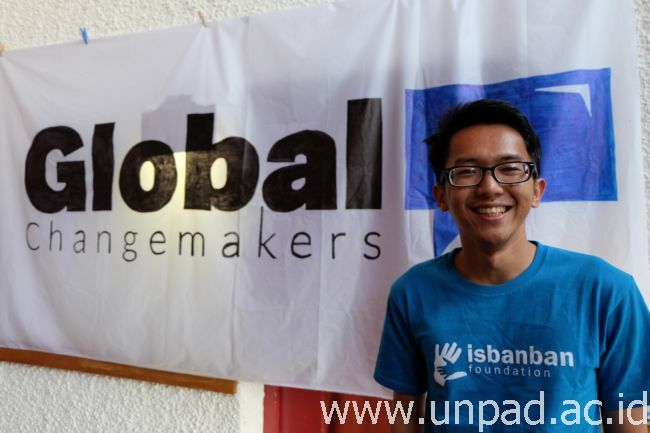 [Unpad.ac.id, 8/08/2016] Panji Aziz Pratama, the alumnus of Faculty of social and political sciences of Universitas Padjadjaran who recently graduated on 3 August 2016 and managed to get in the list of 60 Young Global Leaders of the world’s version of the Changemakers 2016. Panji was selected because of his dedication in providing access and improving the quality of education in Banten Province through Yayasan Istana Belajar Anak Banten. Istana Belajar Anak Foundation Banten has helped about 455 children in 8 villages located in the 7th district/city of Banten Province He founded this movement together with other 592 young volunteers aged between 15-25 years. Panji had to contend with 4000 people from all over the world. 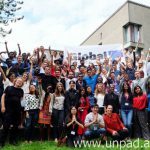 Once nominated, he also received training along with 59 other Changemakers Global in Switzerland from July 24 to 30, 2016. Global Changemakers was initiated as a part of the British Council International programme in 2007, where annually youth with potential were selected through a rigorous process. The selected youths are then received organization management training and self-capacity building to become future leaders. This year, 60 young leaders selected came from 30 different countries. Most of them are CEO & founders of various youth movements or non-profit organizations in their respective countries. The organizations they head are engaged in many different areas such as education, human rights, food sustainability, girl & women rights, climate change, environment, immigration/refugees and social enterpreneurship. They decided to make a move and contributed to their countries to make a better world. 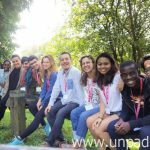 In Switzerland, Panji was teamed with other 10 young leaders who also focus on the issue of education and they work together in Education Global Changemakers. The team members are from Indonesia, Malawi, the United States, Myanmar, Australia, Italy, Sri Lanka, United Kingdom, Russia, Brazil and Kenya. The team consisting of 11 young leaders from 11 countries created a global movement focusing on education manifested in the project “open source for social change”, an online platform that brings together global changemakers, teachers, young people, and education professionals to share experience and education-oriented capacity building materials The idea was well received by the panelists from international NGOS such as WWF, British Council, Changemakers, Metanet, Euforia, and Oikos. 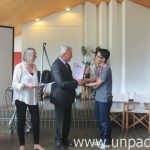 In addition, Panji also received special materials on skill marketplace about Project Management, Branding Strategy, Volunteer Management, Networking, Social Media Marketing Digital & from NGO professionals. Other materials that supports Panji in developing his foundation is about crowd source funding and grants strategy which is a fundraising strategy for NGO and various youth movements in order to get funds in running their activities. Before returning home, Panji paid Green Peace International office a visit to learn about campaign strategy.